Scheduled to launch in India in 2016. 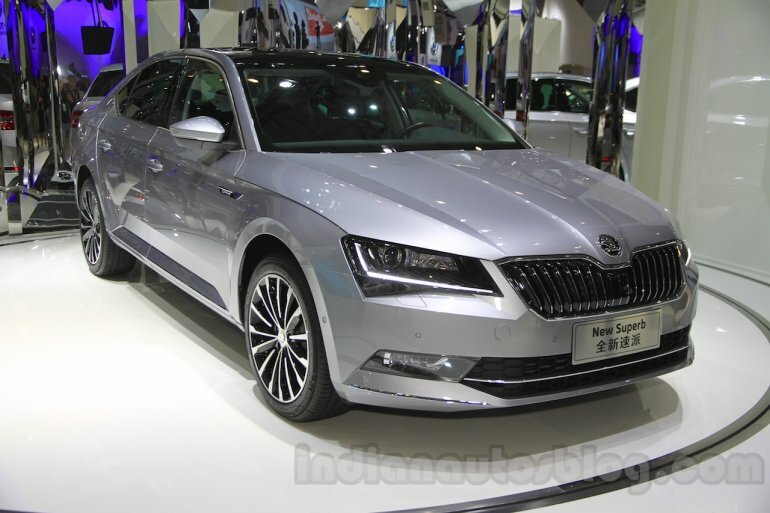 Following its debut at the Auto Shanghai 2015, Shanghai-VW has brought the 2016 Skoda Superb to the 2015 Chengdu Motor Show today. It is expected to launch in the Chinese market in October 2015. 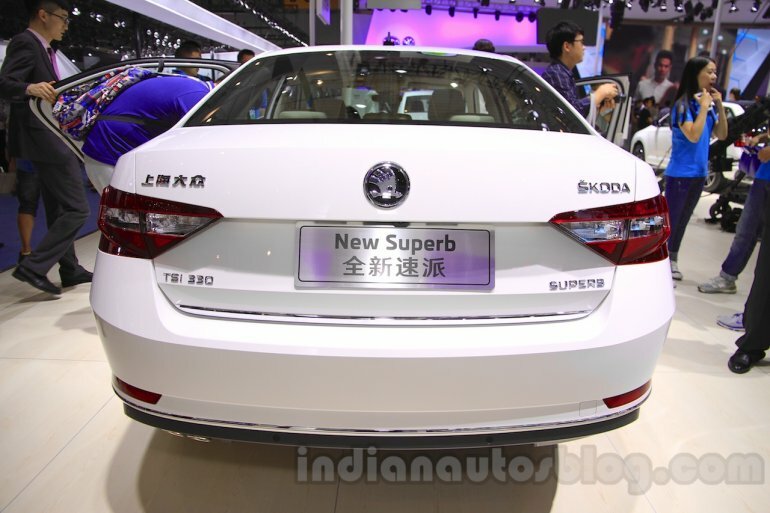 The Chinese-spec 2016 Superb packs a revised engine lineup, which include 1.4-liter and 1.8-liter TSI petrol engines. Models packing the 1.4-liter TSI engine will be paired to a 6-speed manual or a 7-speed DSG gearbox, while the 1.8-liter TSI models come with the 6-speed manual or a 6-speed DSG gearbox. It is based on VAG's MQB platform and weighs a considerable 75 kg lighter than the outgoing Skoda Superb. The new Superb promises better interior space thanks to an 80 mm increase in wheelbase and 69 mm more elbow room in the passenger compartment. Boot space has also gone up by 30 liters to 625 liters. For the Indian market, the Skoda Superb has been spotted testing without any disguise multiple times. It's expected to launch next year, though it will not make an appearance at the Auto Expo 2016 as Skoda is not participating at the show.